I thank everyone for reading this BLOG and for signing up to get it via email (on the right side bar). Experts say you need to ASK your readers to "Like" your Facebook page - so please visit my book page: https://www.facebook.com/trace.a.demeyer#!/Splitfeathers - and I ask you to please click LIKE. I thank you for this. "Like" helps with Google rankings and will help others find this blog, this history and me. On average I hear from three new adoptees each week. That is good. That was and is my prayer. That is why I am a journalist who blogs about adoption news and being adopted. I will help anyone who contacts me and I will get them the help they need if I cannot do it myself. I have been working all year on a brand new second edition of ONE SMALL SACRIFICE and it should be out in a few weeks. It's the same book with a few more chapters. It has two prefaces, four major chapters and an epilogue. Also, there is a new WARNING to readers that this is NOT a chronology but written as I was learning and remembering my own childhood and doing the search for my family. My book has Indian history born of pain and experience, history you won't read in newspapers or mentioned in North American classrooms. One of the best comments I hear is I did a lot of research. Yes, indeed. Over five years and counting and I am still learning. Book 2: SPLIT FEATHERS: TWO WORLDS is ready and we are looking for a publisher. This new anthology goes further and tells individual adoptee stories, in their own words. This book will change hearts and exposes more of our history! I will let you know when we do get it published. 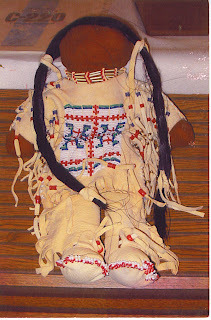 The ultimate goal of this blog is to find new adoptees (Lost Children of the Indian Adoption Projects) and to have a group of adoptees testify before Congress to expose how we were adopted and erased from our tribal nations - deliberately. Some of us were physically and sexually abused (YES) and in many states we are STILL denied access to adoption records so we cannot go home to our tribes and families. A few days ago I made a new relative in South Dakota, Evelyn Red Lodge, also an adoptee and a journalist at Native Sun News. Evelyn is working to make these hearings happen, in the not-too-distant future. She helped NPR do their three-part investigation (posted on this blog in November) which made headlines across the globe. Evelyn is helping to organize a rally for residents in South Dakota to stop the adoptions of Indian children in her state. More happen each day, in violation of the Indian Child Welfare Act. 32 states are in violation of the Indian Child Welfare Act, according to recent NRP reports. As I wrote on this blog, our goverments in North American made us orphans and sealed our records so we'd disappear completely. But they can't erase our blood or our memory. If erasure was the intention of the Indian Adoption Projects - to separate families and ensure adoptees would lose contact with their tribal relatives - in many ways they succeeded. Now, today, our major task is to expose this attempted ethnic cleansing and rejoin our families and our nations. Until all adoption records are open, in particular the Indian Adoption Projects and Indian Programs, conducted secretly in many states, I will not rest. Sandy White Hawk is writing her biography now. If it's of interest and helps people to want to look for their birth parents, I too was adopted. Cheyenne (father) Cree (mother). It took me 4 yrs to find them flying every summer to the states until in 1989 I met them both. Am happy to answer any questions. Johnathan, I am so grateful to you for sharing this comment and the link. Could you email me?